On Tuesday, Jan. 8, at the close of the 2019 Jazz Congress, approximately 200 musicians gathered at Jazz at Lincoln Center’s Frederick Rose Hall in New York to honor the memory of the late Roy Hargrove (1969-2018). 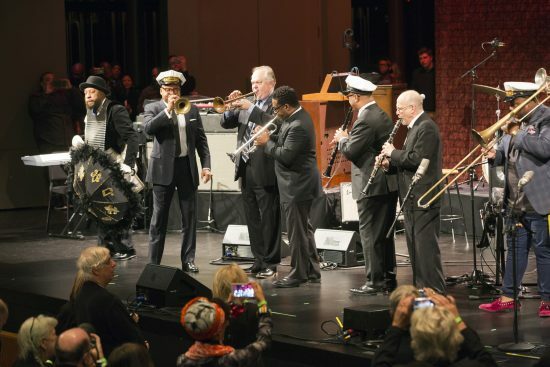 Hosted by his close friend and frequent collaborator Christian McBride, the concert began with a traditional New Orleans second-line procession by Wynton Marsalis and the Jazz at Lincoln Center Orchestra. Five hours later, it ended with deep-groove performances by members of Hargrove’s acclaimed jazz/funk/neo-soul group the RH Factor. Among the artists making an appearance during this final phase of the night was the rapper Common, an indication of the wide stylistic range of Hargrove’s work. Photographer Alan Nahigian was there for the whole marathon show and took over a thousand shots; the following slideshow captures just a few of the evening’s many memorable moments. Want more? 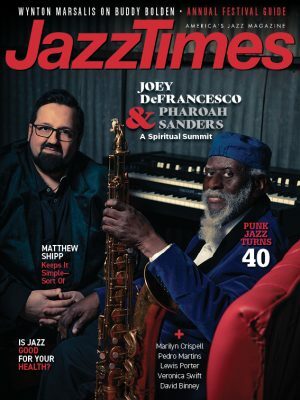 Visit JazzTimes‘ Facebook page and watch the full concert.